Sara A is an interesting case. She hit her head, after overdosing on different types of medications and woke up a changed woman. She remembered, via lucid dreams what she experienced while she was unconscious, but she didn’t have the usual all in NDE white light type of experience. Her story is on the NDERF.org website, at this location. This case illustrates how our encounter can not only modify our attitude toward life, but also our entire physical body and alter how we process our sensory input and thoughts. Sarah begins by relating how she fell to the depths of despair. Here is one of the common themes of many NDEs, suffering. Why is this? Why must we suffer here on earth? Why must we suffer at all? Unfortunately, there is a good answer. Would it not be happier to remain as a spirit? Hence, there is no shortcut. No easy path for redemption. We can’t lie our way out, we can’t hire someone else to take the punishment and there is no one to bribe to let us off the hook. We must pay the bill with our own time and labor. In the book, Memoirs of a Suicide, Camino Blanco, the spirit who inspired the book, visits the wards of a heavenly campus, where suicides are recovering, after a period of time in the Lower Zones. At the end of the long tour through the wards of the truly pitiful spirits, Camino is told that all will recover eventually. The method is described by those whose love and compassion will direct the care of the mournful spirits. “Pain the Teacher” is exactly what Sara was experiencing. Her suffering focused her thoughts. Sara’s mind was honed in on her life like a laser. She thought of ending her life because of what she had reviewed; her mental and physical life had been totally deteriorated. Sara had reached the end of her rope. Only then did she determine to try once more to ask God for help. This passage reveals so much about our life on earth and how we are led by the spirit world. Sara tells us that before her accident she had prayed for help in finding happiness. Even though she had the money to buy what she desired and a wonderful husband, she still felt lost inside. God had given her enough luxuries that any third world person would have traded their left hand for. While, millions of people exist in a loveless marriage, Sara knew her husband was worthy of her and loved her. Yet, like many of us, she still felt a lacking, a hole in her being. Ask yourself, what could have God supplied to her that would have made any difference? Winning the lottery would have supplied a few moments of exhilaration, then the same longing would have returned. Any material gain could only provide a temporary relief from her despair. The void that she felt is only fillable by her own mind. God knew this. Her spirit guide knew this. Hence, they really did answer her prayer. 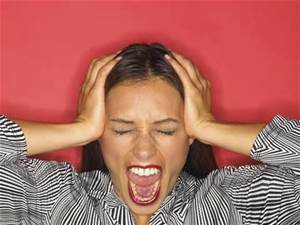 Events were set to enable her to realize the solution to her problem. By the way, be careful for what you pray for, you might get it. As in the stories of Aladdin, where the genie grants the wishes in ways you did not consider, the spirit world may also deliver you what you need. Not what you want. The very evening after she fervently prayed a second time for God’s help, she felt mentally refreshed. She and her husband went to a restaurant and as she approached she felt immense energy all about her. A large presence loomed that heightened her senses and caused her to look in every direction. At the restaurant, she drank excessively. Her husband managed to get her to the car, she threw-up on the drive home, next attempted to walk to the house after they arrived Whereupon she fell down and hit her head on the sidewalk. Her worried husband took her to the hospital. Sara started to feel the thoughts and feelings radiating from others. Her mind, which for Sara and all of us is a beacon of energy, sending thoughts and receiving them, became more in tune to the stream of feelings from others. Hence, our mind does send out energy, not photons, but another form, of which our science has not yet explained. The normal functioning of our body supplies the power, derived from our food intake, to allow our brains the electrical and chemical power for our neurons to trigger to internally form and emanate our thoughts. Andre takes this logic and extrapolates to its logical conclusion. If this statement is true, then by analyzing the wavelengths radiating from our minds, we are able to ascertain the general thoughts of a person, this explains how spirits are able to mentally read our minds. Sara begins to display the same talent. Andre was amazed at the speed and completeness of the healing. 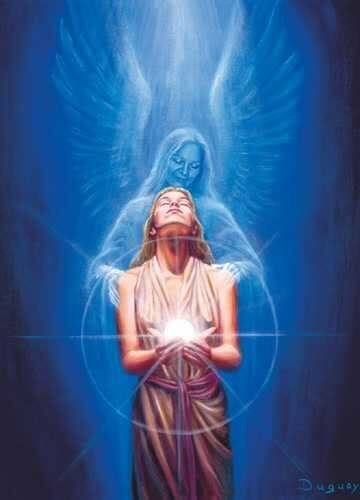 Next he was curious to know, what would have happened to the woman, if she didn’t visit a Spiritist Center. Would she be able to heal herself? Andre is told anyone who is living a religion that follows the path of the good, will receive spiritual assistance, as long as they ask for help in prayer and trust in God. Along with her new ability, her head and body ceased hurting and she recovered her ability to move her torso without pain or stiffness. For the first time in years she was pain free and able to discard all of her medications. As others reported in their NDEs, Sara talks of a plan. She doesn’t know the details, but she knows there is one. Like other spirits, before she came to earth, she created a plan for her life, part atonement for past wrongs and part labor for the good of others. There is a plan for each one of us. To fully comprehend the process and planning of your reincarnations, read my book, The Case for Reincarnation – Your Path to Perfection. Her description of a short attention span could fit almost all of us. Our culture does not promote introspection or contemplation of any sort. 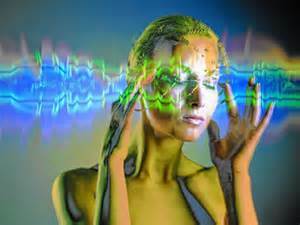 We are trained to move from one channel to the next, in search of any available stimuli, except our own thoughts. Now, given the ability to use her cranial capacity as she should, her learning accelerated, her intellectual boundaries have greatly expanded. Even into areas where she shied away from in the past. The instant understanding of complex equations is indicative of how spirits communicate. By wavelengths, numbers, ratios, transforming thoughts into math equivalents, are aspects of communication between higher spirits. While lower spirits still converse in words, using languages known to us on earth, there is a universal idiom to those who roam the universe and live on higher planes. Sara’s spirit knows this, although unable to completely connect with her spirit and full memories, she is acquainted with the practice. Hence, as in Sara’s case, you too, whether you have a physical or mental illness, if you emphasize your spiritual strength and willpower, reject bad thoughts and maintain your positive energy, you shall be actively assisted in your recovery by your friends in the spirit world. Along with her increased mental powers and refreshed body, Sara has a new philosophy of life. Sara intuitively found the Doctrine of Spiritism. That we are all immortal spirits, who reincarnate to improve our souls. Our need is to practice love, charity, fraternity and live honestly. Selflessness is the key. Help others, encourage all, be kind to everyone should be a daily ritual. To understand more about Spiritism and what it means to you please read my book, Explore Your Destiny – Since Your Life’s Path is (mostly) Predetermined. It is not surprising that Sara comes to the conclusion that she did, for Spiritism reveals that the Natural Laws of God are implanted in us. They are part of every spirit. We have the right to ignore them, but they are always there and our conscience provides detailed interpretations for each code, each regulation in the pantheon of laws. Therefore, we don’t need books like the ones I have written, we have no requirement for dogmas or rituals. The Bible is superfluous and all of the literature written by saints and others telling us how to behave and think aren’t necessary. For we contain the complete code within us. We just don’t listen. This is why the Bible and other teachings are important. Not to expose a new set of divine laws, but to convince our minds, our emotions, our passions to reflect for a moment and listen to our conscience. Our path to ascend spirituality is tattooed inside us. A mark we can never erase. The map to happiness and bliss is clearly defined. Each road sign is unambiguous. We only have to heed the directions supplied us. How many times have you read in the Bible, where Jesus said, “If anyone has ears to hear, let them hear.” This is precisely what was meant. If you would just listen to what you are saying to yourself, you will know! Sara is tapped into dimensions beyond our comprehension. She sees, senses and feels the energy that we walk in every day. Again, Sara is speaking from the Spiritist playbook. The universe is full of life. Spirits transport themselves from place to place at the speed of thought, hence the fireflies buzzing around. Sara was blessed to see more of the world than we can. I know of a person in Rio de Janeiro who can see spirits. He says they move in rapid motion, like robots, each movement precise. They are beings less dense than we are and composed of more energy. Their thoughts transmit into action. 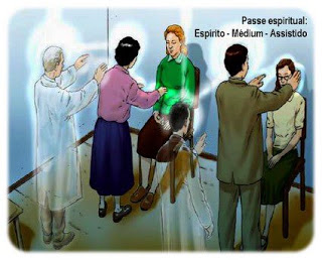 All that Sara has experienced, all that people who have had NDEs since humans populated our planet is real and explained by Spiritism. Why was Spiritism not sent to us earlier and the Doctrine only exposed in the 1850’s? Because, we the human race wasn’t culturally and technically advanced enough to profit from the teachings until now. Yes, we are traveling through a relentless materialistic stage at the moment. This shall pass when more souls seek to balance between their side that wants to accumulate goods and their side that comprehends the importance of their spirituality. If you enjoyed this story, read more stories about NDEs in my book, What Really Happens During Near Death Experiences – According to Spiritism. Read my latest book on near death and other experiences, learn what the spirit world is trying to tell us and understand the context in which we live our lives here on earth. 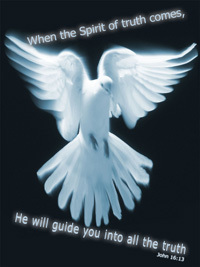 Read my book – The Spirit World Talks to Us. Xavier, F. C. (2004). In the Domain of Mediumship. New York: Spiritist Alliance of Books, Inc.
Wow this was really interesting, especially “The Result” of how her pre-cancerous cells dissolved! I had a similar nde experience. I always call it my near nde. I had more of an out of body external conversation while I was away. I too began to have a complete physical and spiritual rapid transformation too. I’m so glad to read this.